Meagan & Nick’s wedding was absolutely stunning from beginning to end. First, you’ll have to check out their engagement photos. Between Molly’s Cupcakes, a picnic at Montrose Harbor, and sunset photos on the lake, they were so much fun to photograph. 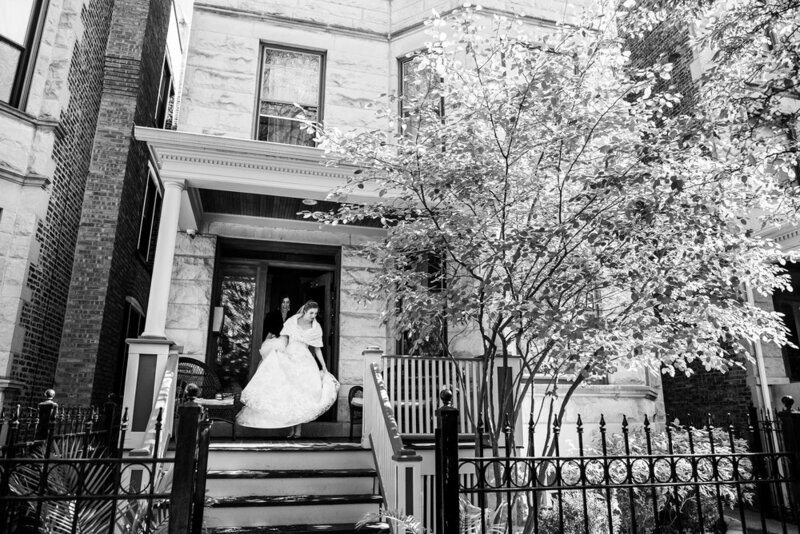 On the wedding day, I met with the bride at an AirBnB in Lakeview. It was actually a perfect space for the wedding party and family to spread out and get ready, as well as offering a great opportunity to photograph the dress outside. We then headed to Montrose Harbor for the first look and wedding party photos. As always, a beautiful spot with a distant view of the skyline. The ceremony was held at the Madonna Della Strada Chapel on Loyola’s Campus. Definitely one of the classic cathedrals in the city. On this particular fall day it was gorgeous outside, so we got to run around campus taking fun photos of the wedding party. Lastly the reception was hosted at the Newberry Library, one of my favorite Chicago venues. I do have to point out something regarding the decor. 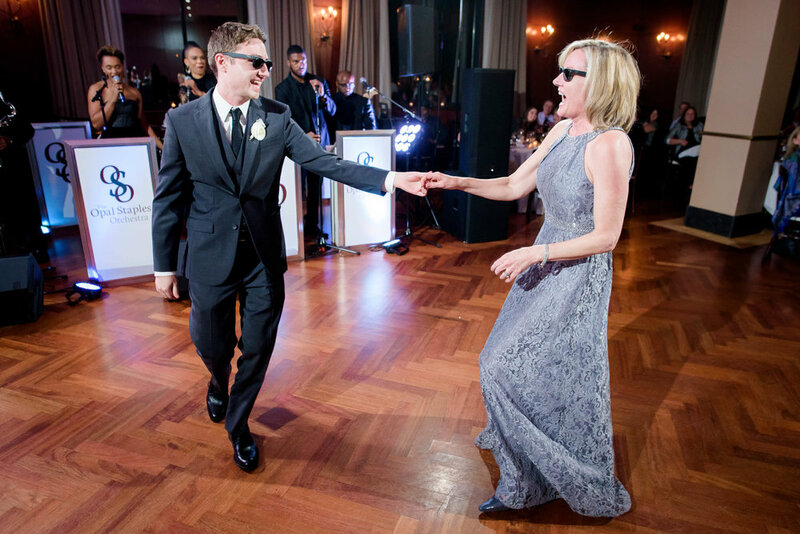 The couple’s theme was “subtle nerd.” You can’t tell in the photos, but thorough the space were literary and film references to nerd/geek culture. I thought it was brilliant, and added such a personal touch to the event. I have to thank Meagan & Nick again for making me a part of their wedding day, and a special thanks to Ali of Engaging Events for introducing me!